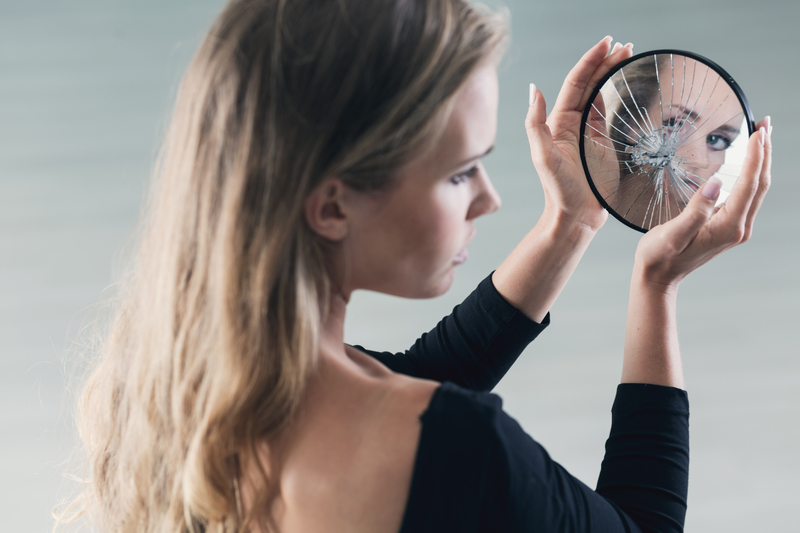 Developing a positive self-image can be an uphill battle for many children. This is especially true when they enter puberty. Adolescence is a time of self-exploration. It’s when kids get to explore who they want to be and how they want to show up in the world. The problem is that this self-exploration isn’t done by them going off for forty days and forty nights into the wilderness to reflect. No, they are more likely to turn to Snapchat and Instagram for guidance. According to a 2016 report from the US Department of Health and Human Services, 71 percent of teenagers in America currently use social networking sites. Social media allows kids to discover what’s popular and trending among other tweens and teens. It serves as a how-to guide on how to be cool and fit in. On social media, everyone seems to be having the time of their lives. Who wouldn’t want to be like the cool kid? No one wants to be seen as basic or average. Unfortunately, the activity on most social media platforms encourages children to focus on the outside and on superficial measures of self-worth. Children begin to define themselves and their worth based on how many friends they have, how many ‘likes’ they get, the designer labels they wear, and the list goes on and on. When adolescents turn to social media to figure out who they are, they start comparing themselves to the perfectly curated lives of others. Some kids harshly criticize themselves when they feel they don’t measure up to the filtered and photo-shopped version of life found on social media. They constantly compare themselves to others and lose sight of how valuable and meaningful they are too. They forget to love themselves unconditionally, embrace their flaws, and celebrate their accomplishments. Instead, they are hyper-focused on doing what it takes to keep up with their peers and gain more social media ‘likes’. Overtime this can lead to depression, low self-esteem, and low self-confidence. In a recent survey given to participants, ages 14 to 24, researchers found that “Snapchat, Facebook, Twitter and Instagram all led to increased feelings of depression, anxiety, poor body image and loneliness.” All of this can have a negative impact on how adolescents see themselves. How can we help adolescents develop a positive self-image? Challenge their inner critic. Your inner critic is the nagging voice in your head. It judges you and criticizes you in ways you wouldn’t even criticize your worst enemy. When you catch yourself saying things like I’m not good enough, no one likes me, I’m stupid, or I’ll never be happy, the inner critic is generally at work. Often your inner critic is on auto pilot. You don’t even recognize you are putting yourself down. Due to the numerous social pressures adolescents face, their inner critic is always hard at work. It’s always trying to knock them down a peg. Adolescents are frequently judged by their peers. Many take this criticism to heart. They replay negative comments made to them over and over in their heads. Rarely do they question these harmful messages. Instead they accept them as facts. It’s important that children learn to recognize their inner critic. When they do, they can quiet their critic and regain control of their thoughts. Children need to ask themselves, is what my inner critic saying true or just me letting someone else’s negative opinion run the show? Practice mindfulness. Mindfulness is your ability to be fully present in the here and now without judging it as good or bad. When you’re being mindful, you are aware on a moment by moment basis of your thoughts, feelings, and bodily sensations. You’re also more in touch with your surrounding environment. Many experts believe that practicing mindfulness can help children deal with the challenges of adolescence. They believe mindfulness provides kids with the ability to focus, manage their impulses, and be more empathetic. When adolescents practice mindfulness, they learn how to notice and challenge their negative self-talk. For example, when a thought pops into their head that they are not good enough, rather than believe the thought, mindfulness practice allows children to acknowledge the thought, reflect on it, and decide whether or not it is true. Additionally, practicing mindfulness can help children take breaks from social media and their electronic devices. That’s a win in itself! However, like everything else, mindfulness takes practice. 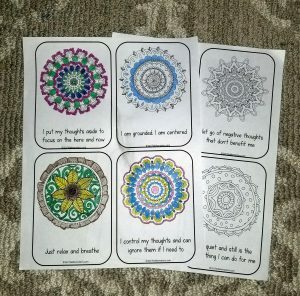 These mindfulness activities and exercises can help adolescents explore being more mindful. Practice gratitude. Practicing gratitude helps adolescents learn how to appreciate others and their accomplishments. When adolescents have an attitude of gratitude, it reduces the likelihood that they will fall prey to the comparison trap. They don’t feel threatened by others or that they don’t measure up. Instead, they appreciate the success and positive qualities their peers possess. This is supported by a 2008 study which found that when adolescents “counted their blessings”, they maintained a more positive view of themselves. It also found that they were more satisfied with their life, especially when it came to their school experiences. Practice self-compassion. Psychologist Kristin Neff, a leading expert on self-compassion, describes self-compassion as people being kind, supportive, and understanding of themselves. She states that self-compassionate people are gentle with themselves when they are down on their luck and when they notice flaws in their character. 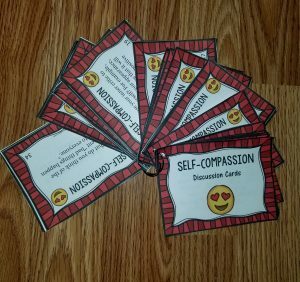 Neff believes that cultivating self-compassion in adolescents could be more important than focusing on self-esteem. She argues that the current culture is so competitive, people need to believe they are special and above average just to feel OK. She claims that this leads some people to puff themselves up in order to feel superior to others. Findings from a 2005 study indicates that when adolescents practice self-compassion, they can protect themselves from the harmful effects of low self-esteem. The study also showed that self-compassion can help adolescents respond more effectively to self-doubt. Encouraging adolescents to challenge their inner critic, practice gratitude, practice mindfulness, and to be more self-compassionate can help them develop and maintain a positive self image. The tools below can help them on their journey.